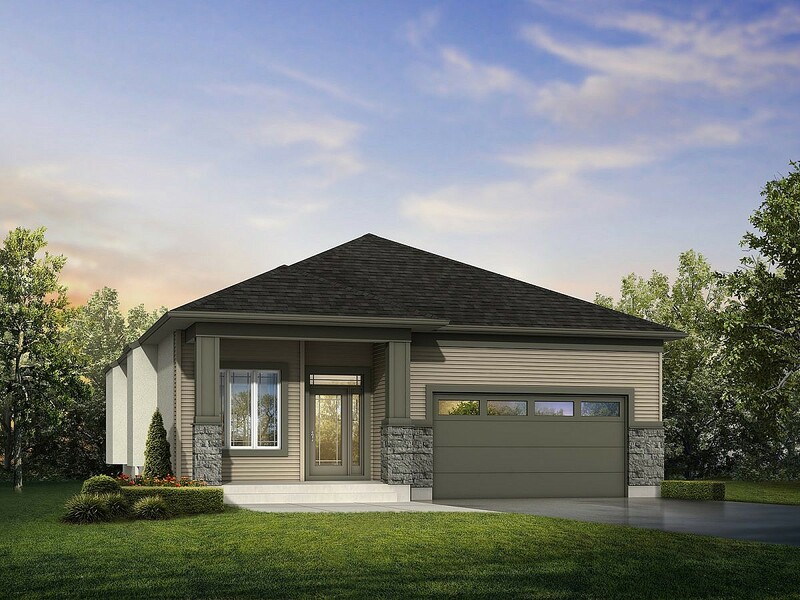 The Oaklake II is a 3-bedroom, 2 bath bungalow with 9′ ceilings. The open concept kitchen and great room complimented by the private dining room allows for optimal entertaining. The kitchen is finished with an enlarged 8 foot island including an extended bar, customized oak flat panel cabinetry, a walk in pantry, quartz countertops and tiled backsplash. The house shines with laminate and ceramic tile flooring, pot lights throughout and a customized fireplace built in stone entertainment centre. The master bedroom is large with a private walk in closet and a deluxe ensuite featuring a stand-alone tiled glass custom shower with double vanities. The exterior stands out from the rest with its large front porch, full glass entry door, stone and wood detailing all complimented by the grande roof pitch and large rear deck. Become a VIP for access to our 3D Virtual Show Homes. Log in or sign up to instantly see The Oak Lake II. Square Footage: 1,533 sq. ft.
You can also reach our agent at 204-477-4700.